This grand chalet is located in a quiet residential area just near to Argentiere La Bessee and Puy Saint Vincent. It is made up of 3 apartments and the private residence of the owners. Two ground floor apartments have one bedroom each and a south facing terrace that leads out to the gardens. They both have wheelchair access. The third apartment is on the second floor and has a balcony that oversees the property also. Each of the apartments are well equipped and are rented in summer and winter during the busy weeks. The owners are very happy with the rental income but admit that many more weeks could be booked if they invested more time in advertising. The private accommodation on the first floor is bright and spacious. There are 3 bedrooms, an office, TV room and large living area that includes the kitchen, dining area and lounge. The views from the balcony on this level are amazing. 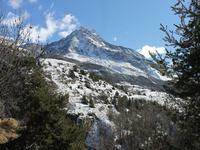 We look down in to the Gorge and the lovely mountains that surround this part of the Durance river. There is a large garage and work shop which also houses the heating systems….There are also large storage areas on either side of the top floor apartment. This property is in a stunning location and is being sold at below the market price for a quick sale. Les Vigneaux is a quiet alpine village situated in between Argentierre La Bessee and Puy Saint Vincent. It is mostly residential, though many properties here have been modified in recent years for the rental market. It is now a popular tourist destination as it is truly authentic and relatively un commercialised. 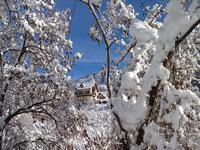 It is, however, close to amenities and only 4 kms from Puy Saint Vincent ski resort. The area is also very popular with kayakers as there is a slalom centre in Argentierre and the Durance river is well known with rafters also. The Gyr and Ronde rivers run down from Vallouise too making this area one of the most well known valleys in kayak circles. 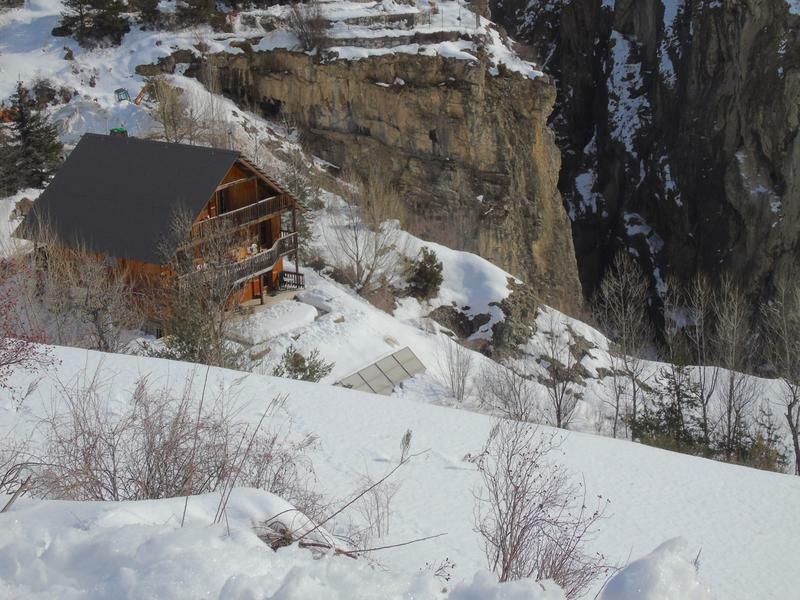 Just at the foot of the gorge is an amazing Via Ferrata cliff climb that crosses the Durance river on rope bridges..... See video after photos, chalet appears at 11 seconds. 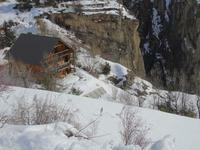 Apart from Puy Saint Vincent, there are several other ski stations within a short drive of the property. 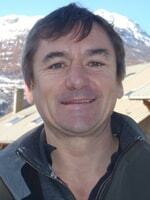 They include Serre Chevalier, Montgenevre, Vars and Risoul. The area has a wonderful climate, being close to that of La Provence where the seasons are very distinct and the air is beautifully clear and clean.